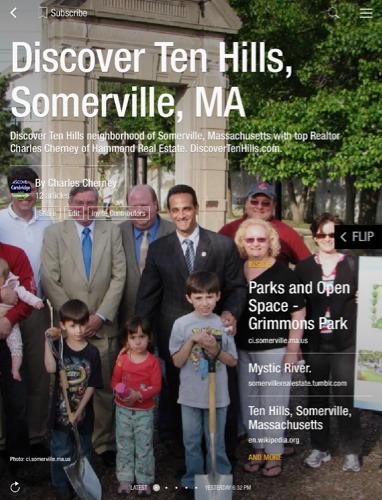 Ten Hills is a neighborhood in the northeastern part of the city of Somerville, Massachusetts. The area is roughly wedge-shaped, about 50 acres in size, and is bounded by the Mystic River to the north, McGrath Highway to the east, and is largely separated from the rest of Somerville by Interstate 93 to the southwest. Ten Hills is neighbored by Assembly Square to the east, and Winter Hill to the southwest. The neighborhood landscape is predominated by a single hill (not ten, as the name suggests), the peak of which is roughly at the intersection of Temple and Putnam Roads.